This unit is ideal for extreme venting of cabinets and enclosures. 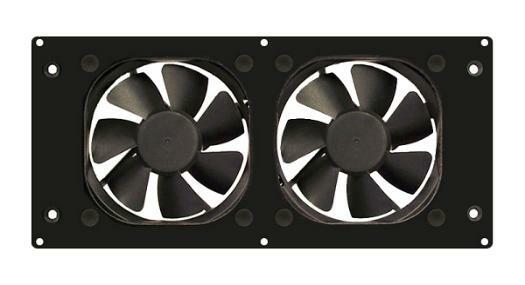 It features two large, top-quality brushless fans for higher airflow, low noise and long life. The fan unit can be configured to pull air out of a cabinet (the default & recommended configuration) or push air into the cabinet depending on the application. 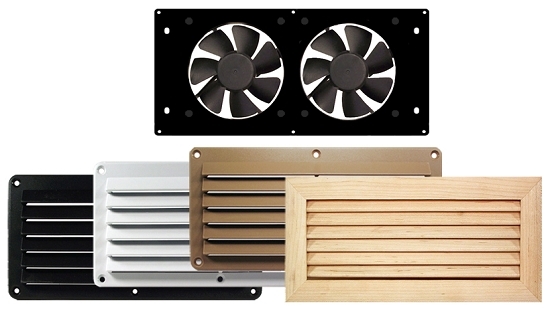 The fans are mounted using a special vibration dampening system which eliminates noise caused by fan vibration and also facilitates easily changing the direction of the airflow. The unit is powered with DC voltage and when used with our Universal Power Supplies, can be run silently or more aggressively depending on the application. Harsh Environment Option - This unit is also available with a fans engineered with an industry leading IP68 rating for harsh environments which is ideal for outside, wet, humid or especially dirty and dusty areas. The units are also effective in high altitudes and in extreme temperatures. It should be noted that harsh environment does not mean better quality or longevity, just enhanced engineering and production to protect against these environmental situations. In practical terms this means that unless truly require the added protection, there is no reason to purchase these fans. This website and its contents are the exclusive intellectual property of Cool Components Inc. and, as such, are protected by copyright and trademark laws. Images, photographs, descriptions, text and articles on this website may not be copied, reproduced, duplicated, sold or otherwise exploited for any commercial purpose without the express written permission of Cool Components Inc. All rights reserved. 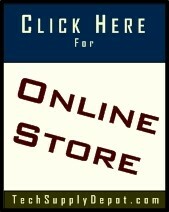 Copyright Cool Components, Inc.. All Rights Reserved. eCommerce Software by 3dcart.